Nat’s Pizza was established in 1976, by Natale “Nat” Stabile. For nearly 40 years, Nat’s has been a fixture in Doylestown, a family favorite for generations of Doylestown natives and visitors alike. All recipes used throughout the menu are the original recipes from Nat’s mother, and feature the most natural and fresh ingredients available. The pizza dough is handmade and made fresh on premises daily, and the pizza is all hearth-baked, ensuring a better quality pie. In 2014, Timothy Wylie, long-time restaurant manager at Nat’s, took over as owner of the restaurant. Tim’s focus has been to maintain the tried and true values that were set forth by Nat. 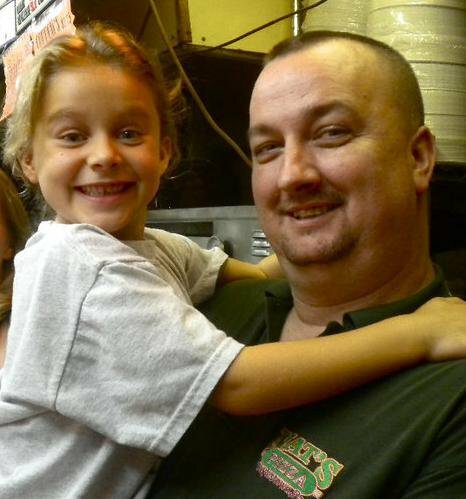 Tim has continued the tradition of providing a family friendly atmosphere, high quality and delicious authentic recipes, and outstanding customer service to our valued customers.